Al Gore is about to release An Inconvenient Sequel to his infamous 2006 propaganda film, An Inconvenient Truth. You can bet those in Hollywood and the media are going “goo-goo” with excitement. To honor the release of Gore’s film, we at CFACT are now making available our own movie, Climate Hustle, available to stream on demand! Head on over to ClimateHustle.com and stream the facts today! It’s the perfect rebuttal to Gore’s hot air flicks. Weather Channel founder John Coleman, a CFACT friend and big Climate Hustle fan, is having none of this far-Left love-fest for Gore’s movie. He is calling out Gore’s broken relationship with the facts on climate. “Gore’s Hollywood friends are giving his blatantly unscientific scare predictions a new platform,” Coleman told Climate Depot in an exclusive interview. “We have been horrified that Gore’s first scientific monstrosity has been shown as factual in schools throughout the world for all these years while our presentations in rebuttal have been generally ignored by educators and the liberal biased media,” Coleman added. Gore’s phony climate narrative should not be allowed to go unchallenged. 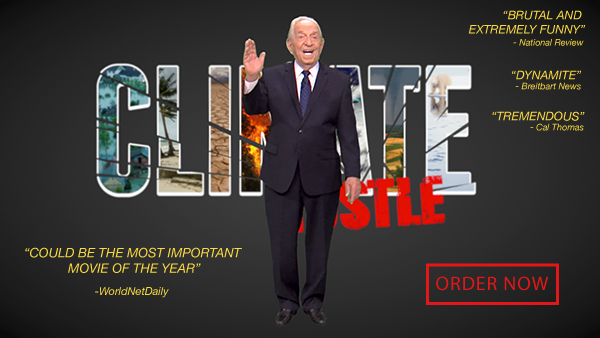 Spread the world that Climate Hustle is now available for instant streaming online and beat Gore back with the facts! If Gore stopped breathing that would lower the CO2 level significantly. Is all you need to read about this op-ed. Al Gore is not a scientist. He has no real understanding of climate dynamics. Therefore no one should pay any attention to whatever he says.